A favorite of Oprah and a celebrity darling known not only for over the top weddings and parties but also the ability to share practical tips for chic entertaining on a not always extravagant budget. 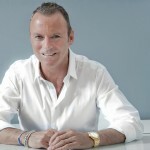 Colin Cowie is, as he shares on his Facebook page, “travelling the world at 120 mph in the fast lane fueled with big doses of style, passion and glamour, inspiring people to live their best life.” We sat down with Colin to learn how we could take advantage of his life lessons and path to exceptional success. Growing up in South Africa, Colin speaks of a place where the people are naturally hospitable, “entertaining is something they do very well,” he recalls the experience of coming from” a tight, very connected family where we had dinner together every night.” From this starting point, Colin traveled the road to become a globally recognized event planner. Not knowing what direction Apartheid would take, Colin decided to decamp from his homeland. Setting his sights on the US, he arrived in Los Angeles thinking it was a global style capital. Humorously he recalls, it did not take him long to find it was anything but. As he says, “style was manufactured in Tinseltown. I met people with walk in refrigerators dining out six days a week”. Recognizing what he considered a strange phenomenon, he encountered people who had the trappings of wealth but weren’t expressing personal style: Individuals with beautiful homes but they were not “living” in them. 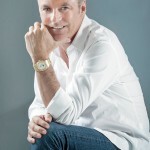 So in 1985, Colin Cowie started his business with $400 and began to teach people the skills to enhance their lives and learn the art of fine living. Today he travels the four corners of the world creatively conceptualizing and producing everything from intimate birthday celebrations to iconic weddings to corporate bashes. We have to ask, has coming from a beautiful, exotic foreign land been helpful in establishing a business that resonates globally? Revealing that he has travelled 12 million miles and visited 100 countries, a journey that has literally been an education; we have to ask, what’s his takeaway from being such a voyager? Today recognized around the world as an international lifestyle guru, he looks back, recalling what turned the tide for him and truly was a milestone that made a difference. 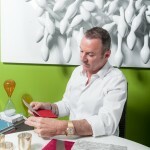 A love for design and business keeps Colin hands-on with all projects. We’re curious; does fantastic sometimes over the top design ever outweigh good business sense? “Everything I do has hands on creativity. A WOW! moment. No matter how small the budget there always has to be a WOW!” He describes himself as a ‘chameleon’ when it comes to work, “nothing I do ever looks the same…no matter the customer or the venue, I am always changing it up. I layer the senses: smell touch see and hear.” After all, he poses the question: “How can an event fulfill your dreams if one of the senses is not seduced? Imagine a beautiful room, beautiful flowers, the tactile sensation of beautiful fabric but the food is lacking…How disappointing that would be!” So although the individual priority of each sense may rotate, the end result is conceived as a delight to all the senses.